Here at DES we are always looking for things to blog about. So this time we thought we would blog about our staff. Most of the staff here work on a part time basis and therefore have other jobs and hobbies. I thought we would start off with Wayne. Wayne has been with the company for about 7 1/2 years. Starting off as a student on our Hyperbaric Operator/Attendant course. Following on, he was offered a few days a month working at our hyperbaric facility in East London. Over the years, the amount of shifts he works have increased, alond with his knowledge of the work. 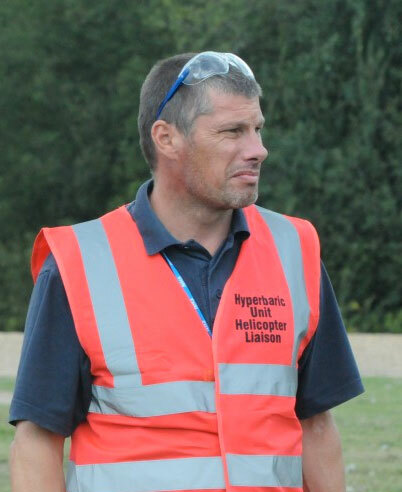 He is now one of our supervisors and works at the unit three days a week. However, he is on call 24/7 – meaning that he can be called in to deal with any of our out-of-hours emergency cases. Wayne also coordinates the educational 40 meter dry dives that we run throughout the Winter period. -banned items and why they are banned. -the clothes we wear and why. -possible barotrauma damage, O2 toxicity, DCI, nitrogen narcosis and how to avoid these. 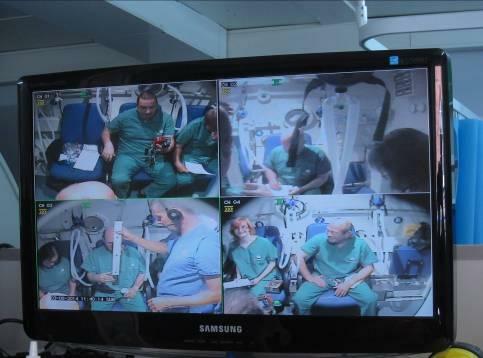 We will also talk about the dive profile and the experiments that we will do inside the chamber at pressure. We will discuss when we go on O2 and the different gases we can use such as Heliox 50/50. There are various experiments inside the chamber show how the pressure affects air and water. We visually show gas bubbles being drawn back into solution, air density and a narcosis test. 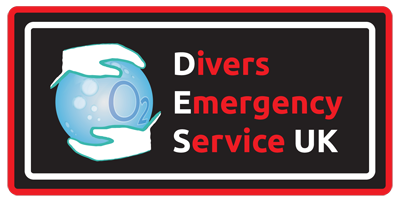 We use 100% O2 at 9 metres; this is to show the divers what it’s like if they would ever need treatment. It’s a 40 metre dive, bottom time 15mins and a total dive time of 32mins.Dive computers, cameras/video equipment with housing can be taken in to the chamber; this makes the experience something you can share or use as a promotional tool for your club. This kind of schedule works well for Wayne. 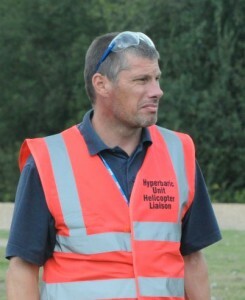 He is also a PADI instructor and a safety diver working with The Underwater Studio based in Basildon. He can’t always tell us about the different shoots he works on, owing to confidentiality agreements. Although when he is allowed to, we never tire of hearing about the films, pop videos, TV series and varied other projects he has been part of.